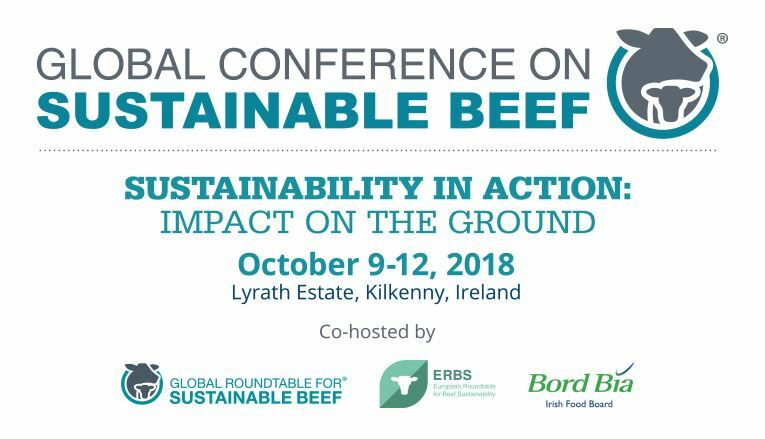 Nicole Johnson-Hoffman, President of the Global Roundtable for Sustainable Beef, will convene the 2018 Global Conference and share the progress of GRSB since the last Global Conference. Video/Audio PDF Keynote Address - "The Leadership Dividend in Sustainable Beef - the Compelling Case for Action"
Video/Audio PDF "Sustainable Beef in Action: GRSB Executive Director View"
Ruaraidh Petre, GRSB Executive Director, shares his insights as someone who has been involved in beef sustainability for several years. Video/Audio PDF "Sustainable Beef in Action: Regional Impacts & Innovations"
Video/Audio PDF "Sustainable Beef in Action: Southern Africa Cattle Technology Breakthroughs (ICT)"
Max Makuvise, Chief Executive Officer, Makera Cattle Company, will share his insights on how technology is providing solutions to Smallholder Beef Farmers. Video/Audio PDF "Sustainable Beef in Action: Boldness with Biodiversity in Argentina"
Breakout Session: "Global Sustainability Impacts - A Multi-Country Perspective: Australia, Southern Africa and United States"
Video/Audio PDF Sunrise Session: "Beefing Up Blockchain – How Blockchain Can Transform the Beef Supply Chain"
Video/Audio "Beef Producer Insights: Walk a Mile in My Sustainable Boots"
Video/Audio PDF "McDonald's: Retail Sustainable Beef Leadership in Action"
Video/Audio "Young Agriculturalists Sound Off: Unlocking Industry and Consumer Trust and Engagement"
PDF Breakout Session: "Cow Burps, Gas & Grass: A Look at Innovations Impacting Reductions in Emissions, Cultivation of Carbon and Improved Natural Resource Management Around the Globe"
Video/Audio PDF Breakout Session: "Corporate Beef Sustainability in Action: Packer and Retailer Sustainability Projects and Pilots"
Deborah Wilson, Sr. VIce President, BIXSco Inc.
Video/Audio PDF Breakout Session: "Animal Health and Innovation in Action: How Cattle Genetics and Resistance are Changing the Sustainability Game"
Video/Audio PDF "Communication of Global Beef Sustainability: Break on Through to the Other Side"
Video/Audio PDF "Leather & Beef: Adding Skin to the Game"